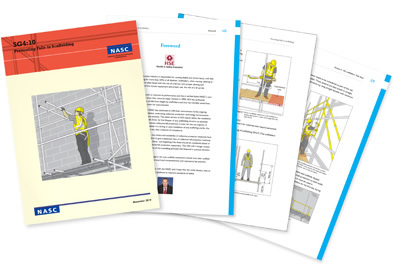 Falls account for more than half of the fatal accidents in the construction industry and scaffolders when erecting and dismantling scaffolds are constantly faced with the risk of falling. We acknowledge that scaffolders have to work in hazardous situations and that we must ensure that they have a safe method of work. To this end our company's policy is to fully adopt the safe working guidance as given in the NASC Guidance Note SG4:10. All of our operatives are provided with fall arrest equipment and it is our company policy that all scaffolders wear their harness's at all times while at work and that they hook on whenever they do not have the protection of a safe working platform. H&B Contracts Ltd is a member of the British Safety Council.